It's confirmed. The iPhone 4 is coming to Verizon. Starting at $200 for the 16GB version, with a new antenna and a hotspot application that would allow you to connect your computer or any other device to the internet. Same as the iPhone 4, except with a different antenna design. Here's a hands-on video. How much is the Verizon iPhone 4? You can get it starting at $200 for the 16GB version. The preorder page is live now. We don't know any details about how much the monthly payments would be. Verizon hasn't disclosed this information yet. It will be available on February 10. If you are a Verizon Wireless customer, you can reserve one now from a special stockpile and get it on February 3. Does it fix the iPhone 4 antenna problem? Did Verizon&apos;s iPhone Fix the Death Grip Issue? A Verizon employee says that the "antenna works great." Of course, that's what they would say. We will test it as soon as we get it. The iPhone 4 for Verizon uses the CDMA network, not LTE. That means is not going to take advantage of the higher speeds of their 4G network. Can I talk and surf the web at the same time? No. Your data connection will break every time you receive a call, so no internet surfing or video while talking. Is the white iPhone 4 available from Verizon? While it shows up in Verizon's pages, we don't know if it's available yet. Can I take my existing number to my new Verizon iPhone 4? If you are with another provider and your number is portable, you can bring it to Verizon when you get their iPhone. It will take no more than four days to have it transferred. Would I be able to connect my computer to the internet through the Verizon iPhone? Yes. The iPhone 4 comes with hotspot functionality built-in, basically converting it in a Wi-Fi network to go. All your devices—to a maximum of five at the same time—will be able to connect to the web using this feature. Will the Verizon iPhone have Verizon's built-in apps? Surprisingly, yes. No. You will be able to download the VZ Navigator and V CAST Media Manager for free from the App Store. Will the Verizon iPhone work globally? No. It doesn't have GSM capability, so it will only work in 40 countries that have CDMA carriers. 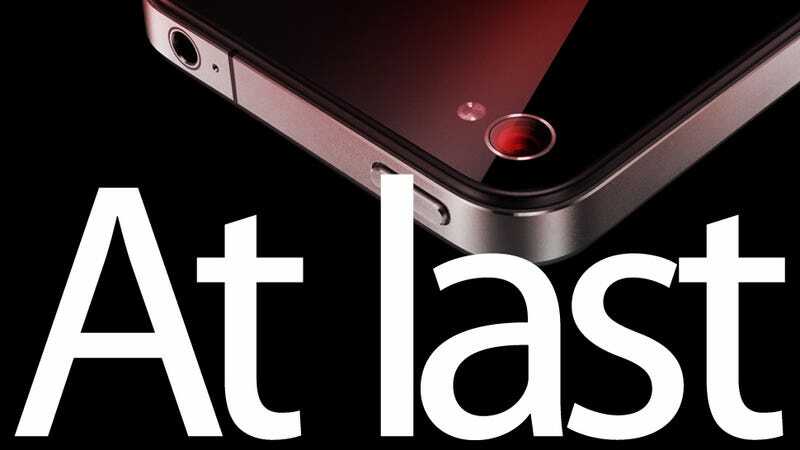 When will the LTE iPhone appear? Verizon is not talking about when the LTE-based iPhone will appear. Apple's Tim Cook has said that this iPhone 4 is not LTE because that would have meant a lot less battery life, something they didn't want to compromise.